The influence of St. John of the Cross, the great poet and mystic of the 16th century, reached across the centuries and inspired a simple tailor in Nazi occupied Poland to aspire to sainthood. 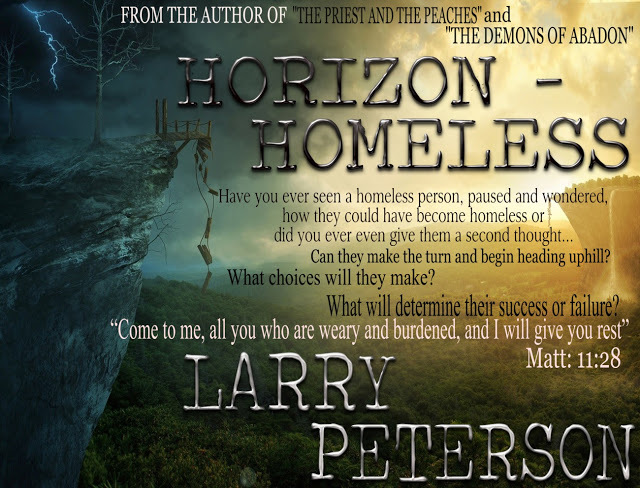 In turn, this simple man became the catalyst for another man who was not even considering becoming a priest. Yet, this aspiring actor would one day become Pope. The man’s name was Jan Tyranowski. 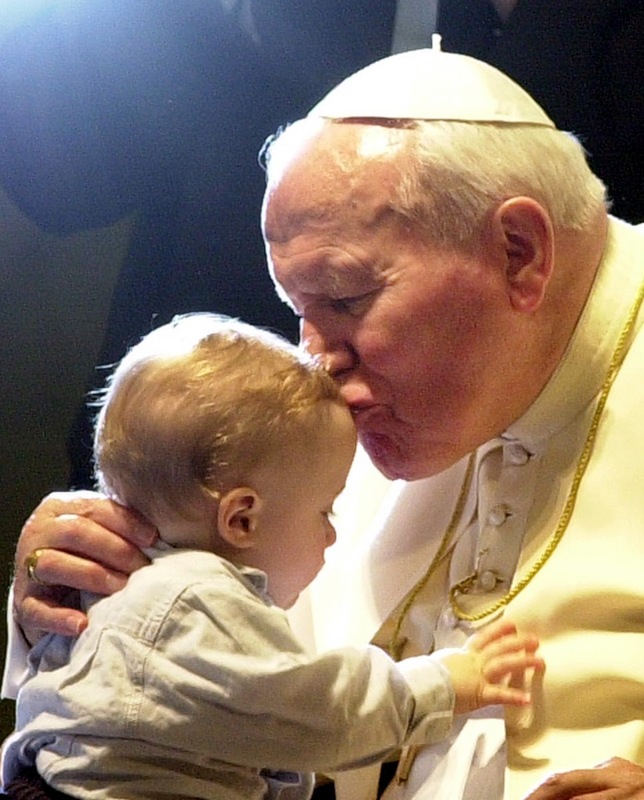 The man who would one day be pope was Karol Wojtyla. Born in Krakow in 1900, Jan Tyranowski was the son of a tailor. His dad had bigger plans for his boy and Jan became an accountant. Jan was a bit of a loner and enjoyed being by himself allowing his abundantly curious mind to fill his spare time. He loved science, studying foreign languages, gardening and even the new science of psychology. He especially loved photography. Even though he kept his mind filled with the wonders around him he knew something was missing. There was an emptiness, an unexplained void, which he could not fill. 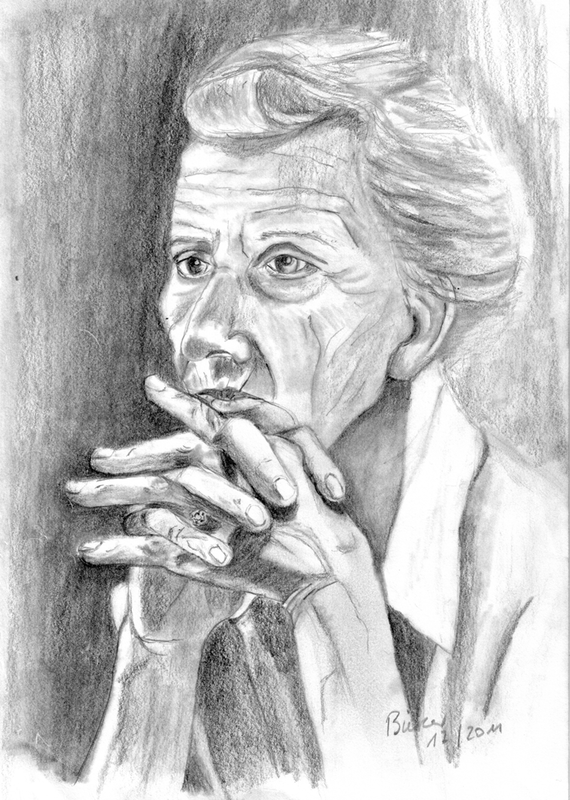 Jan took ill in 1930 with a chronic stomach ailment which rendered him constantly sick. So he left accounting and took up tailoring with his father. Amazingly, with his stress levels reduced in his new job, Jan became a much happier man. His faith also began to increase and he became more and more active in his parish. To Jan this was unprecedented. He thought sainthood was only for priests and religious. There was no room in the saintly world for lay people---or was there? The priest went on to say that lay people could also live saintly lives by going to frequent Mass, saying their prayers and doing good works. 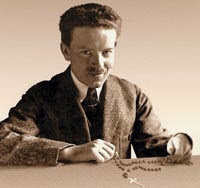 Jan Tyranowski listened and realized the spirituality he thought he was not permitted to have was available to him too. All he would have to do would was embrace the work needed to attain it. When he he left the church that Sunday, he was a changed man. He began growing in spirituality praying and meditating every morning for up to four hours and then devoting other parts of his day to prayer and reflection. Jan asked a parish priest for advice on some quality reading material and the priest gave him a prayer manual he had used in the seminary. Jan poured through the manual and expanded his reading eventually coming across the works of St. John of the Cross. The writings of this saint became his constant companion for the rest of his life. By 1940 more than half the priestly population of Krakow had been deported. One of the parish priests asked Jan if he would become more involved with the youth ministry in the parish. 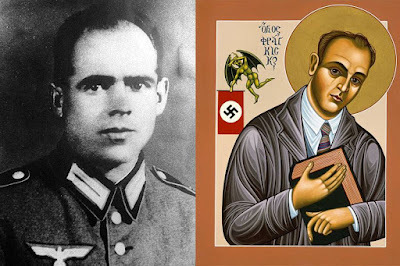 Jan became the youth leader at St. Stanislaus Parish which also happened to be the university parish attended by a young man by the name of Karol Wojtyla. Karol aspired to be an actor. Jan had an innate ability to inspire spirituality in others. His apostolate to the young quickly grew and among those who were part of it were the future pope. At first, Karol was turned off by Jan Tyranowki’s seemingly overbearing and strict manner of dealing with prayer and meditation. But when Jan formed a “Living Rosary”, Karol began to soften. Karol Wojtyla’s dad died in 1941. The young man had no immediate family and before long he became an eager recipient of Jan’s guidance. When Jan introduced the works of St. John of the Cross to young Karol it changed his life. The 16th century mystic became one of the future pope’s lifelong inspirations. Jan Tyranowski more or less became a father-figure to Karol. They became great friends and often walked together talking about the things of God. The Salesians of Don Bosco have put forward Jan for beatification and he has been declared a Servant of God. We ask Jan Tyranowski to pray for us all. If it were two thousand years ago and you lived in Nazareth you might notice a young man packing items on a donkey in preparation for a trip. Early the next morning you see this fellow, with his pregnant teenage wife sitting on the back of the burro, heading down the road. They are in compliance with the law of the day. They are on their way to Bethlehem, the town of their ancestor’s birth, for the census. 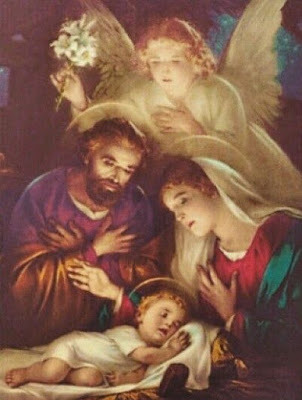 To complete this humble family was none other than God Himself. The Creator of all that is became like one of His creations. He could have come in a majestic way, surrounded by armies and servants and glitter and pomp. 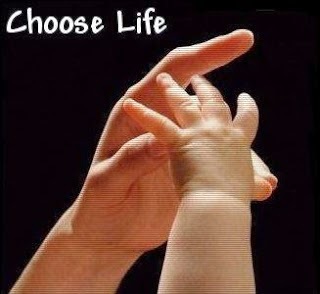 He chose to come to us in the womb of his mom, just like all of us. He allowed Himself to be born among the animals in a cave. As He began His earthly life His body was wrapped in cloth and then placed on straw. Why would He do it this way? He did it to show us…show us Goodness, show us Love and show us how to give those things from within ourselves. Foremost, He did it to save us, save us from ourselves and Satan’s favorite tool, Pride, which had brought down Adam and Eve. The Holy Family was, and still is, the complete and perfect embodiment of Humility. It remains so to this very day. 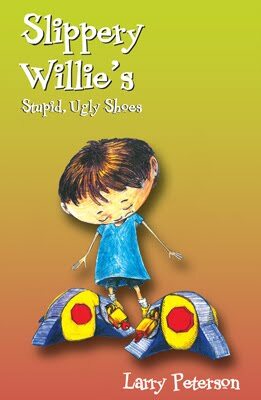 Of course, the antidote to Pride is Humility. Isn't God amazing in the way He does things? This is the story of our Salvation and the rebirth of Hope. This Salvation became available to all people for all time and its success was entrusted to a couple of have-not young people whose humility and love of God enabled them to conquer the seemingly impossible. Guided by the Holy Spirit they united in marriage. Then, absorbed by each other’s love they took on the world. They traveled to Bethlehem while Mary was full term, a three to five day journey on the back of a donkey. Joseph walked guiding the donkey. Mary gave birth in a cave surrounded by smelly animals and filth and they watched and marveled as poor shepherds and rich kings worshipped their child side by side. 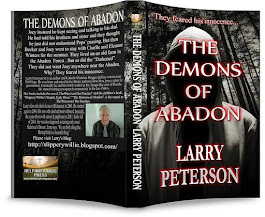 They managed to escape the soldiers of King Herod, who were trying to kill their newborn Son. Imagine the fear in Joseph as he wondered how he could protect his little family from the forces of evil. And, lest we forget, he also got them safely to Egypt, about three hundred miles away. He must have been something. We know the rest of the story. If you take a moment to ponder all that happened and how it happened and why it happened, it will leave you breathless. And then we remember it was all done for all of us. There was nothing done for themselves, not one thing. We need to get back to what "Family" is and the Holy Family is the model to build on. We must never forget that within that family it was the husband and father who protected his wife and Son from the evils of the world. The Son humbled Himself and gave his life for us all. And the Mom, our Mom too, the most humble of all women ever, stands ever vigilant and ready to crush the head of the evil serpent who might harm any of her children. In so doing she is protecting all of us for all eternity. She is our protection against all wickedness. When we ask for her protection we cover ourselves with an impenetrable shield. Fittingly, the Catholic Church celebrates the Feast of the Holy Family on the Sunday following Christmas. There are millions of folks who never pay an iota of attention to this family. Maybe it is time that they should for this is the family that "set the bar" for all families for all time. 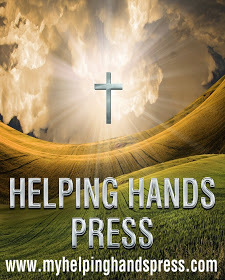 The Salvation story comprises the greatest acts of human Love, Goodness and Humility ever. Mary, Joseph and their boy, Jesus, encompassed by an unconditional love for God and each other, offers that love to all of us. God’s earthly Trinity has shown us the way. How can anyone NOT Love Christmas? I have been an EMHC (Extraordinary Minister of Holy Communion) for over 20 years. 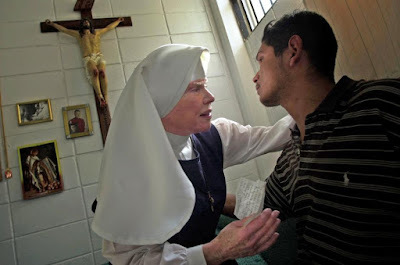 I have had the honor and privilege of bringing Holy Communion to many people in many places: hospitals, nursing homes, hospice centers, assisted living facilities,and, of course, to the homebound. 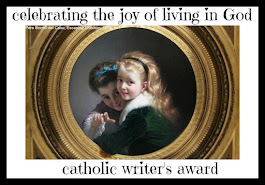 I love being part of this ministry and it has brought me in touch with some amazing people who have lived their Catholic lives quietly, faithfully and without fanfare or notoriety. Most of those I visit are Elder-Catholics.These are the Catholic faithful who have, throughout their lives, supported their church, been active in various ministries and carried on the faith that was and still is, part of their very being. 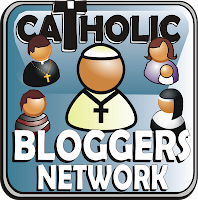 Some were born into the faith and it was nurtured in them by their parents and oftentimes by nuns, brothers, priests and Catholic laypersons. They in turn have passed it on to their own children. Some found the faith as adults and converted. (I so admire those people.) And so, as is the way of things, the Church continues. I would like to share a story about one of these people. His name is John. I have been bringing Holy Communion to John every Sunday for a little more than a year. He is 90 years old, an Army veteran, spent almost 30 years in the Far-East and was married for 60 years. His wife, Mary, passed away several years ago. He loved her dearly and misses her greatly. John is not delusional, or suffering from dementia or anything like that. His mind is sharp and clear. Physically, John is deaf (hearing aids help a tiny bit) and wheelchair bound. When I arrive at his front door, I push the doorbell. I hear a chime, he does not. Inside, several strobe lights begin to flash notifying him someone is at the door. He is expecting me and the front door is unlocked. I walk in and he gives out a big, "Hey, hey, good morning." I more or less holler back, "Hey John, how you doing today?" He is always wearing a smile. He says, "Well, I'm still here." We both laugh. John is facing a dilemma. He picks up the newspaper from a few days before and points to a story. "Have you gotten any feedback on this?" I look at the paper and he has it opened to an article dealing with the church's newly revised guidelines on cremation. I shrug and tell him I have not. He says, "I have a problem and maybe you can help me out. I need some guidance." 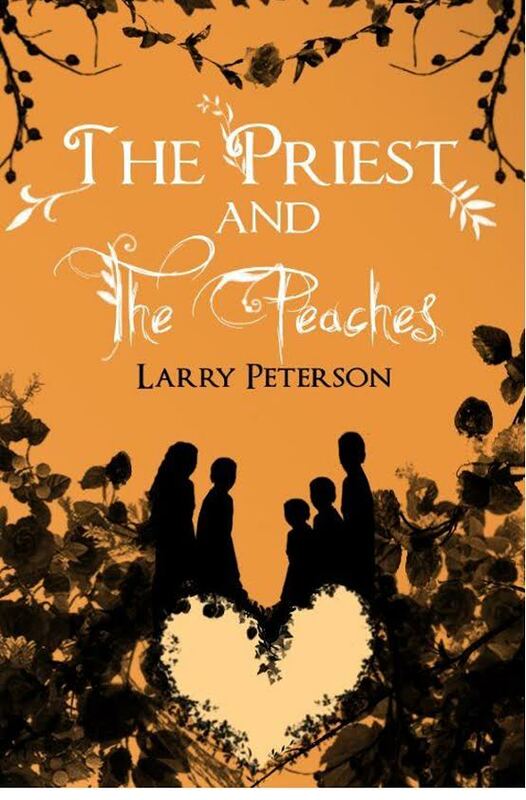 I am not "Father Larry" or "Deacon Larry"..I'm just Larry. I immediately feel a bit insecure because I do not like telling folks what they should or should not do when it comes to their personal faith issues. I quietly ask the Holy Spirit to quickly help me out. Then I say, "I'll try, John. But I may not be able to. I will go to Father Anthony and ask him if necessary." Being part of this ministry can have unexpected rewards. God was about to bless me with a glimpse into the hearts of two Catholics, a man and a woman, people of faith who married in the faith and lived it and who shared a love that did not die upon the death of one--rather, it simply continued and still existed. John says to me, You know, I am upset about this article. 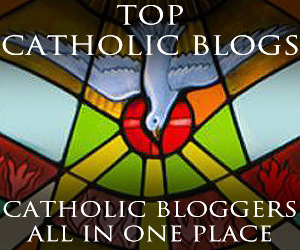 It says we Catholics must bury the ashes of loved ones in sacred ground." I said, "That isn't anything new. Some folks are scattering ashes over the Gulf of Mexico or off mountaintops or sharing them among family members. Those kinds of things are not approved of." Look", he says. "I have Mary's ashes here with me. I talk to her everyday. I'm all alone and I feel she never really left and I get such comfort from that. Do I have to get her over to the cemetery?" I'm looking at him and tears are filling his eyes. He wants to be a GOOD Catholic man and he loves his wife and wants to be loyal to her. He will give her up if the Church requires it even though the pain he will feel is unimaginable. It did not matter. He would be true to his faith no matter what. I was looking at a man who would have gladly embraced a martyr's crown if he had been called upon to do so. I knew that cremated remains are supposed to be kept intact and placed in a proper vessel. Nervously I began to answer but he continued. "I have a spot down at the VA for both of us. I made arrangements with the funeral home and when I pass they are going to take us together down to the VA and bury us next to each other." I breathed a sigh of great relief. Casting doubt to the wind I told him, "John, that is great. She can stay here with you. She is encased in a vessel and is scheduled for burial. You will make the trip to the VA together. Don't worry about a thing." I will never forget the smile that broke out across his face. I'm not sure if I gave him proper 'guidance'. No matter, in this case I am sure the Holy Spirit helped me out. I will check with the priest when I see him. On November 20, the Solemnity of Christ the King, The Holy Year will officially end. We will have focused on mercy and forgiveness for a year and received the graces that came along with it. It seems so fitting that the beauty and meaning of this entire Holy Year can now be encapsulated by the impending holiday season. The Holy Father wanted us to direct our actions and attention “on mercy so that we may become a more effective sign of the Father's actions in our lives . . . a time when the witness of believers might grow stronger and more effective". Four days after the Holy Year ends we celebrate our great American holiday, Thanksgiving, and this year the holiday presents us with an extraordinary opportunity. 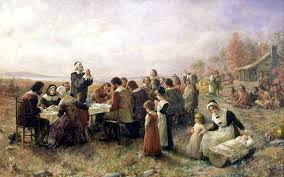 What better time to show mercy and love, on a nationwide scale, from sea to shining sea, than Thanksgiving. It can be our grand finale to this grace filled year. Thanksgiving is the one day of the year where we pause and simply give “Thanks” for all that we have, even if it is just a “little”; a job, good health, a cancer in remission, the subsiding of a three day old migraine headache, connecting with a long lost relative, the birth of a child, surviving a natural disaster...there are so many things that we can be thankful for. Most importantly, there is that great intangible that spreads across our nation on this day and it ties right into the culmination of the Holy Year of Mercy. That intangible is the abundance of mercy, forgiveness and love that explodes within the hearts of so many millions of people. No-one in America needs to go hungry on Thanksgiving Day. On this day people all across the country and from every economic situation can have a turkey dinner. Homeless shelters and soup kitchens and prisons serve turkey. Folks who have little or no money are able to receive turkey baskets from various charitable organizations so they can have a turkey dinner at home with their families. You do not need to purchase gifts. All you have to do is show up, hang out, eat and enjoy the uplifted spirit of family and friends that are with you, even if they are strangers turned friends you just met in a soup kitchen. On the Sunday before Thanksgiving we distribute the turkeys and all the trimmings to people of all denominations in our area to take home for “turkey day”. 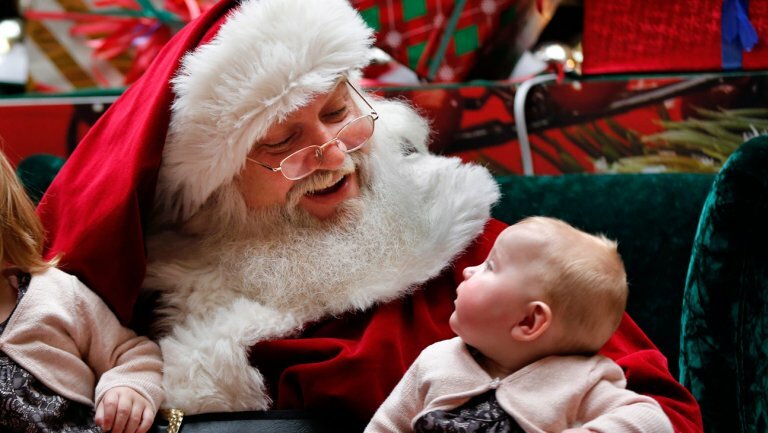 Everything has come from the hearts of parishioners and is joyfully given to strangers so they might enjoy the day. How cool is that? 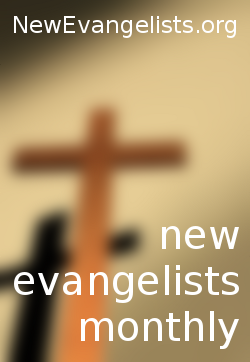 And doesn’t it also speak to the Holy Father’s call to evangelize? All across the United States, Catholic parishes, churches of other denominations, soup-kitchens and shelters, etc. show Christ’s mercy and love to strangers on Thanksgiving. It is a wondrous thing and such a beautiful way to finish up the Jubilee Year of Mercy. Unexpectedly, in the year 2016, the end of Holy Year of Mercy collided with our Thanksgiving holiday. If we listen we may even hear the “Drumsticks” smashing cymbals of mercy which resonate nationwide with sounds of love. As we cross the finish line of the Extraordinary Jubilee Year of Mercy we thank God for having allowed us to be part of such a grace-filled year. We also should thank Him for Thanksgiving. We can consider it the Grand Finale to the Holy Year just completed. It is a beautiful thing. ©Copyright Larry peterson 2016 All Rights Reserved. My wife, Marty (Martha) has Alzheimer's Disease and I am her primary caregiver. Since November, 2016, is National Family Caregiver's Month sponsored by the Alzheimer's Association, I thought I would share a slice of an average day she and I experience together. 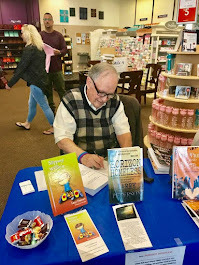 At the same time I can also leave some links to information about dementia (there are many kinds--Alzheimer's is just one) and give a "shout-out" to all the millions of Americans across the country who are caregivers. Until Marty actually became an unpredictable, uncertain and sometimes obsessive Alzheimer's victim, I did not understand Alzheimer’s Disease. I thought I did but I did not. Meeting folks at the Alzheimer’s Caregiver meetings allowed me to learn that what I write here is not unique to me. It is more or less part of the norm within an Alzheimer home and I am just one of a vast multitude of caregivers living alongside this illness. "Oh, I'm so glad your back home. Are you going to stay here?" Not having been anywhere, I was caught a bit off guard. I answered, "Uh--um--Of course I'm staying." "Do you have any of your things here?" I reply, "Why don’t you walk back to the bedroom and check the closet." She sighs and smiles. She is faking because, even though she has lived in the same house for many years, she has no idea where the bedroom is located. She tries to “play it off’ because she doesn't want me to know that she doesn’t know. But I do know and she knows I do. So I nonchalantly point and say, "Back that way, where the big bed is." She shakes her head and says, "Oh, of course, sometimes I don't know where my head is." I simply say, "That's okay. No problem." "Well, are you going to sleep here tonight or go to the other place?" There is no other place and I have no clue where her mind has taken her. I just go along. And then it is temporarily over and the evening continues. More is on the way such as telling me she really wished she did not have to work tomorrow even though she has not worked for almost ten years. You get the idea. For the caregiver it is a two-edged sword. You are watching someone you love, mentally evaporate while at the same time trying your best to be as patient and as kind as you can be to that person. As the caregiver it can sometimes be a bit overwhelming. Redundancy can push your patience levels to extreme borders. 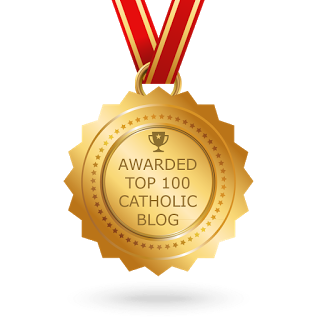 As Marty's caregiver I can say, unequivocally, that my greatest strength comes via my Catholic faith. I lean on it like a man with two broken legs needing crutches. Without them--well, I would fall hard and often. There are many types of dementia but Alzheimer' is the primary cause. Vascular dementia, Parkinson's Disease, Huntington's Disease, Mixed Dementia and others are a few conditions on a long list of illnesses that cause dementia. 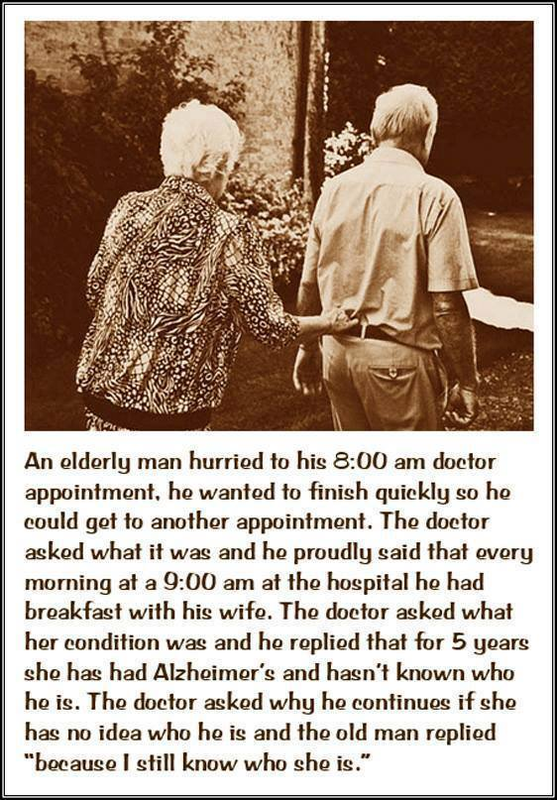 Alzheimer's is a progressive disease and it continues to worsen as time goes by. There is no remission or leveling off. Eventually the patient will lose the ability to even carry on a simple conversation, or even remember to use the toilet. The end result is always death. It is truly a dreadful illness. I could go on and on but I have provided several links within this article that will take you to more detailed information about Alzheimer's Disease and dementia. As people live longer the illness is seen more and more. More resources have been allocated for Alzheimer's research. Prayerfully we will find a cure. Here is a sidebar to the above: The patron saint of Alzheimer's patients is St. Dymphna. Ironically, St. Dymphna has had a profound involvement in my family's life. My daughter's middle name is Dymphna. (See Aleteia for more). When I discovered that St. Dymphna, the patron saint of nervous and emotional disorders, was also the patron saint of Alzheimer's and dementia patients, I could only smile. I love St. Dymphna. Please remember to keep all Alzheimer's and dementia patients and their caregivers in your thoughts and prayers, not just during the month of November, but all year long. St. Dymphna, please pray for them and for all of us. 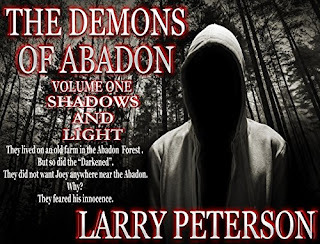 @slipperywillie #YAParanoral #YASuspense #YAThriller "The Demons of Abadon-V1-Shadows and Light" FREE 11/7 until 11/11 on #Amazon! Grab it while you can! 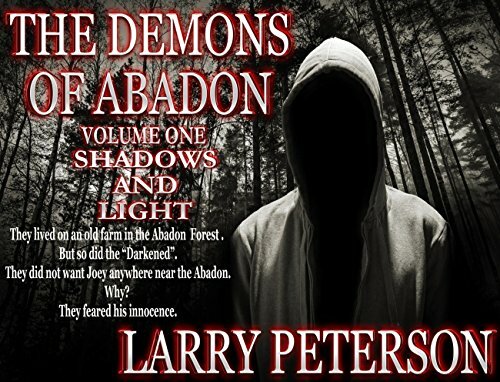 Starting Monday November 7 and running until November 11 Larry Peterson's "The Demons of Abadon - Volume 1 - Shadows and Light" will be FREE on Amazon Kindle!!!!!!! 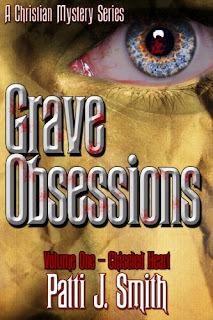 "Grave Obsessions" Vol 1; Chiseled head"
@gridirongranny5 FREE! FREE! 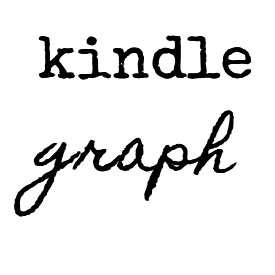 FREE on #Amazon 11/7 until 11/11 Patti J. Smith's #Crime #Thriller "Grave Obsessions-V1-Chiseled Heart"! Starting Monday November 7 and running until November 11 Patti J. Smith's "Grave Obsessions - Volume 1 - Chiseled Heart" will be FREE on Amazon Kindle!!!!!!! 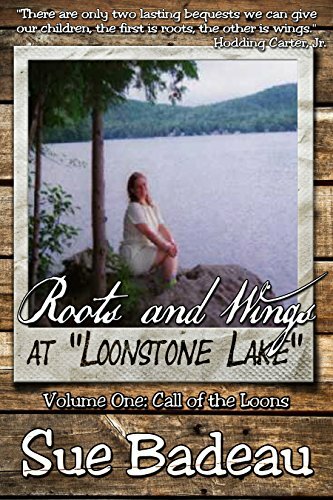 "Roots & Wings at Loonstone Lake--Vol 1; Call of the Loons"
Starting Monday November 7 and running until November 11 Sue Badeau's "Roots and Wings at "Loonstone Lake" - Volume 1 - Call of The Loons" will beFREE on Amazon Kindle!!!!!!! 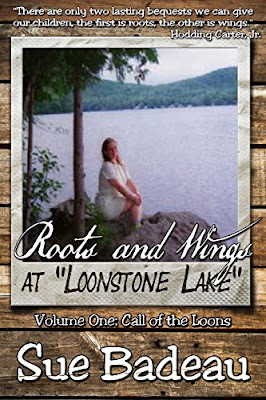 11/7 until 11/11 @SueBadeau "Roots and Wings at Loonstone Lake - V1 - Call of The Loons" is FREE on AMAZON!!!!! !